The voyage made by the Jesuit missionary Ippolito Desideri in Tibet, in 1712, represents the first attempt of inter-religious dialogue between Buddhism and Christianity. The documentary, based on an accurate archival research, goes trhough the various stages of this incredible journey. 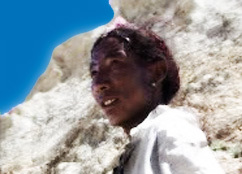 Desideri was the first European to cross the Karakorum Chain, and in the heart of winter he walked through the immense and implacable desert of Western Tibet. He managed to learn the Tibetan language in a few months without the help of grammar or textbooks, and he even wrote treatises of philosophy and religion in that language. His story is remarkable not only for the adventurous details of his journey but also because in his account, la Relazione, he offered to the Western World the first effective and in-depth description of the customs and of the spirituality of the Tibetan people.